By initiating ‘Informatica Feminale – Summer University for Women in Informatics’ in the year 1997 we have created a room for developing and exploring new methods for gender equality in the scientific sector. The nature of our conceptual starting point is clearly professional. Our aim is to activate women in Informatics (Computer Science) to create a place of exchange for themselves and other women interested in this discipline. This exchange is based on professional and technical topics, but also includes a personal level by means of intensive communication. 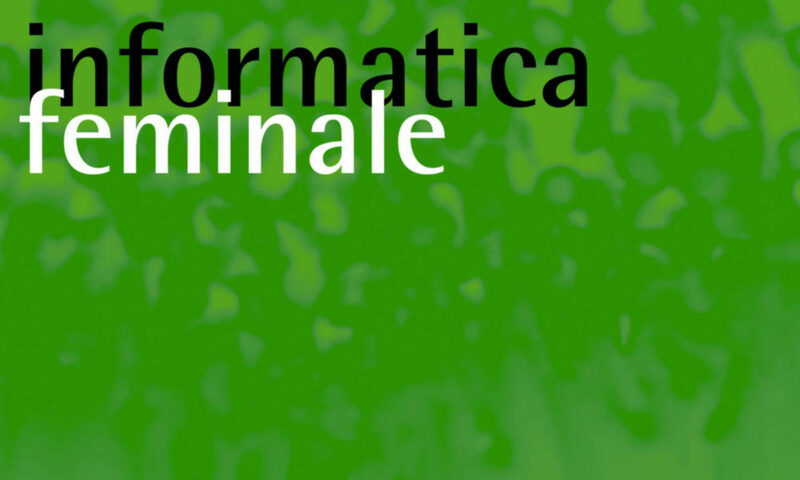 Informatica Feminale is a place for experimentation and intends to imply new impulses in Informatics (Computer Science). Three conceptual aspects of academic education – defining curricular fundamentals, training of students and encouraging lecturers – are closely connected in this approach. They connect studying, institutional structures and practices at a university. Technical subjects are strongly influenced by male interests. With the concept of the Summer Universities we want to support women at different academic and scientific operating levels to exert influence. We regard academic and research content in Informatics as well as structures and practices at institutions of higher education as key factors in exclusion of women in Informatics. Therefore gender equality policies should not stop at considering the teaching of professional content, but must also regard changes in academic culture in terms of changing the ambience and structure in everyday education and research at universities. This will be a long road, but professional networking is indispensable. Informatica Feminale should create opportunities for women to strengthen their influence on different academic and scientific operating levels.